This one is inspired by the contents of my fridge and my trip to Scotland this week. It’s cooking as I type and I must say the house smells lovely. 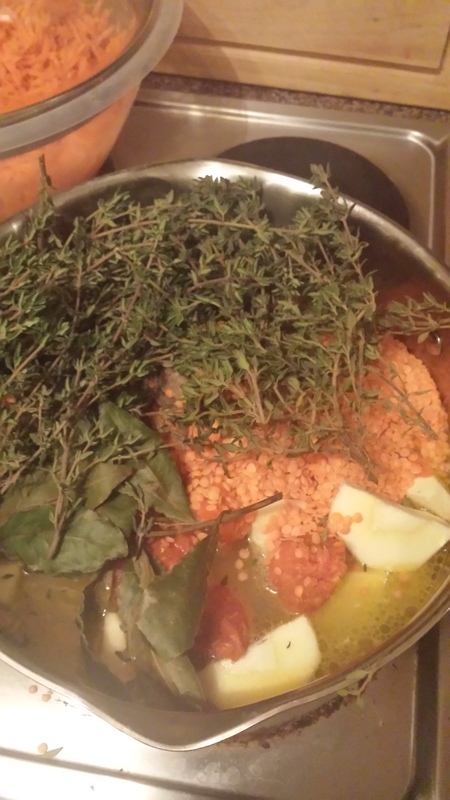 4 large parsnips, peeled and diced; 2 large onions, peeled and diced, 2 chorizo sausages, 150 g of haggis or black pudding, 2 tomatoes, 150 g of red lentils, large bunch of thyme and a few bay leaves. Chunk of butter. Bring it to the boil, reduce the heat and let it simmer for 30 min. Remove the herbs and blitz the whole lot. Season to taste and serve. The 25th of January is a pretty big deal in Scotland. And I like Scotland. 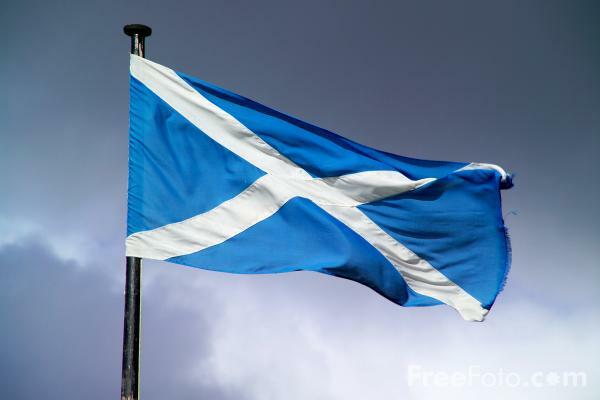 In fact, I love Scotland. It is home to some of my favourite people in the world. So, yes. The 25th of January is better known as Burns supper. 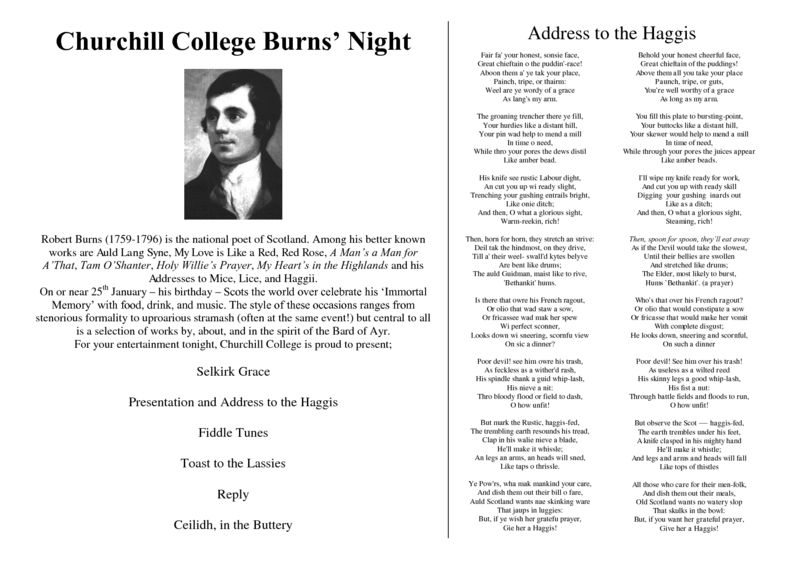 It is intended to celebrate the life and legacy of Scottish Poet Robert Burns (1759-1796). Although you can have a Burns supper any day of the year, the 25th of January was Rabbie Burns’ birthday and the tradition is strongest on this date. So what’s a Burns supper you ask? Well it’s quite the ceremony actually! It comprises of The Piping of the Guests (informal pre dinner gathering), The Host Welcoming Speech, The saying of the Selkirk Grace, The Piping of the Haggis (if you have some bagpipes handy use them to serenade the Haggis as all stand and it is brought onto the table) and finally The Address to the Haggis. 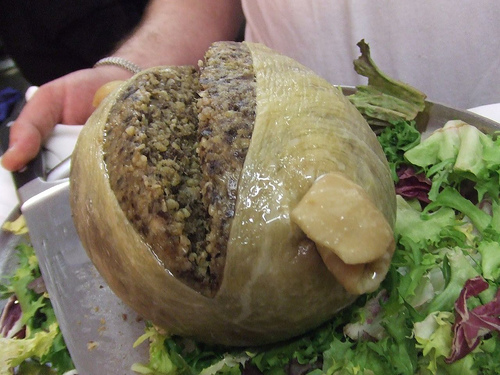 The Haggis is opened with a sharp knife during the Address and at the end of the poem a Whisky toast is offered to the Haggis. Haggis is sheep’s offals mix with some suet, spice and oatmeal. You heat it it through in the oven and serve it with nips and tatties (turnips and mashed spuds). Haggis is the King of the Puddings! 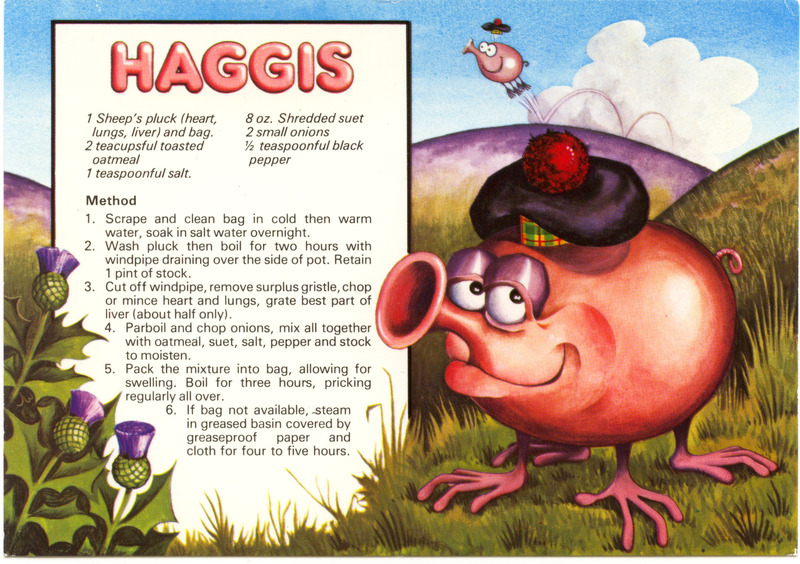 I find haggis quite heavy and I’ve never been able for the full adult portions. So I go for it as a filthy breakfast when I have a hangover to look after! In Ireland you will find Haggis in Aldi at the moment and M&S throughout the year. 1 heaped table spoon of haggis, 1 egg, 1 muffin, 1 tea spoon of creme fraiche, dill or chives, spinach, tomatoes and pepper. Half and toast the muffin, fry the haggis on low heat for a few minutes and reserve. Mix the creme fraiche with the herbs. Fry the egg (roughly scramble it in the pan) and add the spinach and pepper. 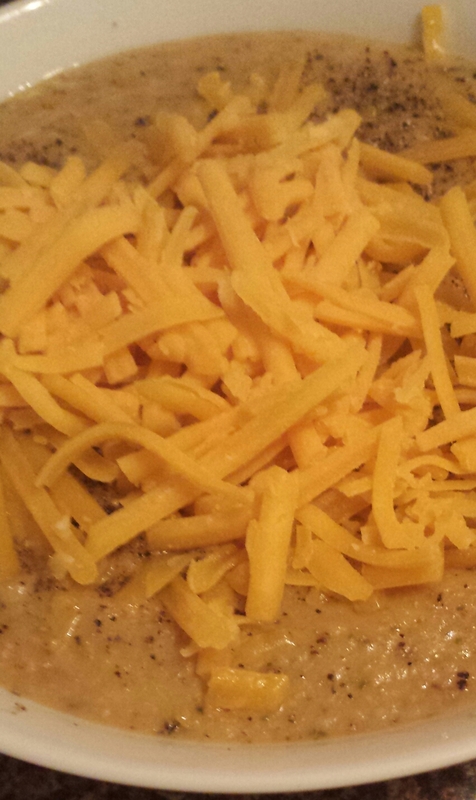 Spread the creme fraiche on the muffin heap the egg, haggis and spinach and sprinkle with crushed black pepper. Serve with a ripe tomato for a bit of freshness on the plate. Picture to follow next time I make this !